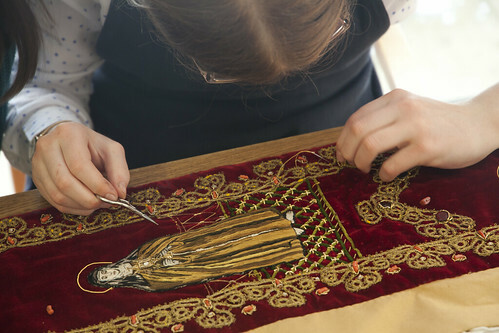 The mission of the Guild of St Clare is to assist priests who celebrate the Traditional Mass by repairing vestments and undertaking commissions for vestments and liturgical furnishings. The sewing retreat is an opportunity to form a community of people around the Traditional Mass who are keen to help in this work, while enjoying the benefits and graces of the devotions and spiritual conferences from our chaplain. 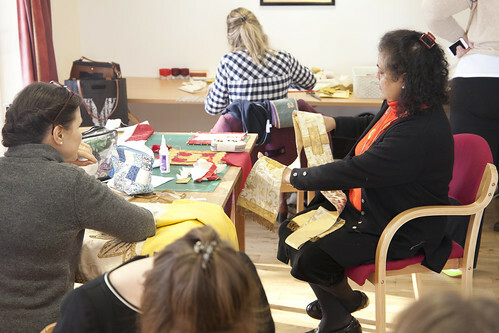 The schedule is a fairly relaxed one, to allow plenty of time for sewing and discussion, and the weekend works best when all retreatants attend as many as possible of the sewing sessions, talks and most importantly, the Mass. The greater part of our work consists of repairs to vestments: stitching trim back into place, for example, or patching holes in worn-out silks. We also occasionally make vestments from scratch to commission, sometimes first creating our own patterns when needed. The work ranges from very easy sewing indeed to an intermediate standard. No one need be put off owing to lack of experience! Our chaplain celebrates the Traditional Mass each of the three days. 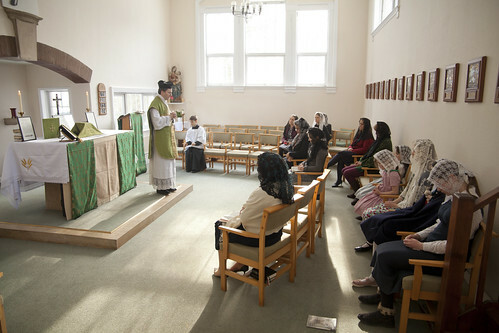 We also have daily Rosary, we say Compline each evening, and have Benediction of the Blessed Sacrament on the Saturday. Over recent years we have had a number of chaplains at Guild Sewing Retreats, including Fr John Hunwicke of the Ordinariate of Our Lady of Walsingham, Fr Richard Biggerstaff, and Fr Edward van den Bergh of the London Oratory . Each retreat is advertised on this blog when booking opens. Booking is done through the Latin Mass Society's website: see under the 'Events' tab. NB A number of sewing items will be available for purchase during the Retreat.